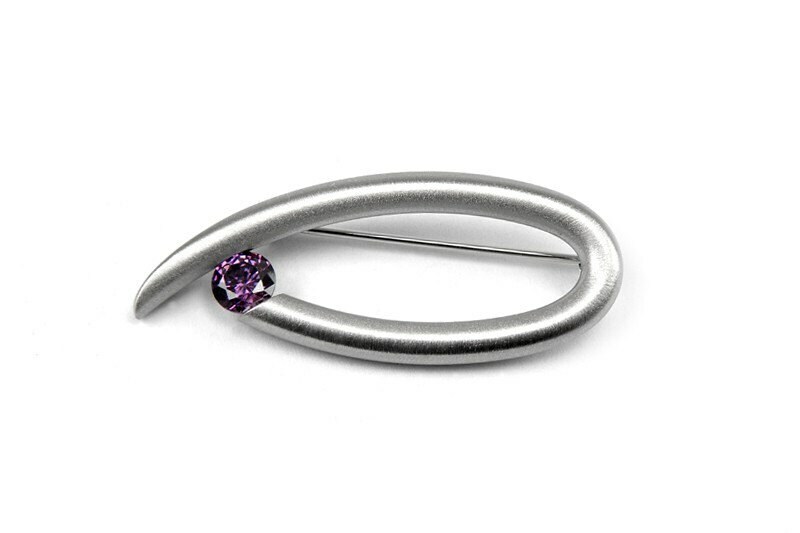 Brushed Stainless Steel Brooch with Tension Set 6mm amethyst. 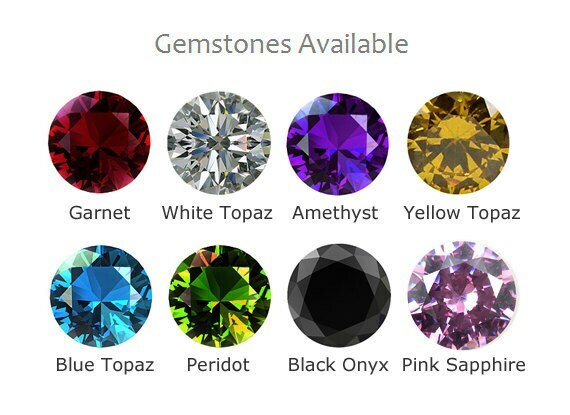 Same price and upon request also Availabe with: Yellow Topaz, Black Onyx, Pink Sapphire, Blue Topaz, Peridot, White Sapphire, Garnet. Upon request metal finish available in Mirror Polished. This brooch is "made to Order" therefore Will ship in 7 business days with a complimentary USA Shipping. We do give to Our jewelry two different finish depends to the design and also the kind of final effect we are trying to achieve. Mirror shine and soft brushed (satin finish). The mirror shine commonly called high polished; it's very much like the platinum polished look, and the brushed finish we particularly prefer, because it gives a dramatic modernist contrast with the Yellow gold and the Black pearl..